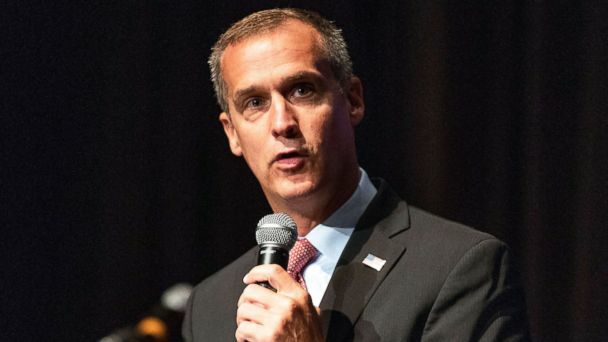 Newly released records show two former Trump campaign aides have formed a new lobbying firm representing foreign interests, and its headquarters are located in the Washington D.C. townhouse of former Trump campaign manager Corey Lewandowski. Jason Osborne and Michael Rubino, who both worked under Lewandowski on the Trump campaign, will be representing the Alliance of Independent Social Democrats (SNSD), a Serbian nationalist party in Bosnia and Herzegovina that has been pushing a separatist movement in the country with support from Russia. The arrangement with the new firm, called Twin Rocks Global LLC, detailed in Foreign Agent Registration records filed with the Department of Justice two weeks ago, is the latest episode to raise questions about Lewandowski and Washington, D.C.'s infamous "revolving door" -- where past ties to the president can be parlayed into lucrative work in the city's robust influence sector. Where Lewandowski has gone, Osborne and Rubino have been close behind. After working together on the Trump campaign, Osborne and Rubino served as registered lobbyists for Avenue Strategies, the firm Lewandowski cofounded with another Trump campaign veteran, sparking accusations of influence peddling from critics. Lewandowski quit the group last May amid increased scrutiny of the firm and its clients and told the Washington Post that he wants to make clear going forward that he won't work for foreign clients or lobby. But Osborne and Rubino didn't stray far. The duo formed their own lobbying firm, Turnberry Solutions, and set up shop at the Pennsylvania Avenue address of a row house leased by Lewandowski, described as the former Trump campaign manager's "new base of operations in Washington." Lewandowski reportedly stays in the upper floors when he's in town while the lower floors serve as a workspace for himself and for Turnberry Solutions. Twin Rocks Global LLC, Osborne and Rubino's latest venture, is listed at that very same address. Neither Osborne nor Rubino responded to ABC News' request for comment. Lewandowski has denied having any ties to Turnberry, despite the confluence of connections, and he did not respond to multiple requests for comment about Twin Rocks Global. But the three men appear to share more than a workspace. Osborne and Rubino were spotted with Lewandowski during his controversial visit to Serbia in April 2018, when Lewandowski spoke at an event hosted by Serbian political nonprofit East West Bridge and met with Serbian politicians and business leaders to discuss the topic of "America Today," raising fresh questions on whether Lewandowski is involved in foreign influence peddling despite his previous denies that he does lobbying work for foreign governments. Just a few weeks later, Bosnian media outlets reported that Osborne and Rubino met with SNSD Vice President Zeljka Cvijanovic to discuss American politics and President Donald Trump's support for the party. According to Charlie Kupchan, a senior fellow at the Council on Foreign Relations, Russia has over the years closely aligned itself with the Serbian community in Bosnia and nurtured a close relationship with the Serbian government. The SNSD, led by Serbian nationalist Milorad Dodik, has worked closely with United Russia, the ruling party in Moscow led by Russian Senate foreign affairs committee chair Konstantin Kosachev. The Serbian nationalist party was among Balkan political groups that signed a military neutrality agreement with Russian President Vladimir Putin in 2016. After Lewandowski's infamous visit to Serbia, Serbian opposition politician Vuk Jeremic accused Lewandowski of peddling direct access to Trump to Serbian politicians. Lewandowski has denied the allegations. More recently, Putin has been supporting the Serbian nationalists' separatist movement in Bosnia, an effort that parallels the controversial Kremlin influence in Ukraine, a move Kupchan describes as an effort to influence a country that is already facing a number of internal problems. The Obama administration had imposed sanctions against Dodik's party for its separatist movement. "Russia has gone to use this context to stir up troubles and prevent the Balkans from entering into the Western institution, the European Union," Kupchan said. "That gives the Russians a real foot in the door."